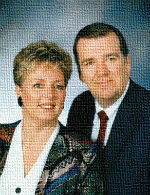 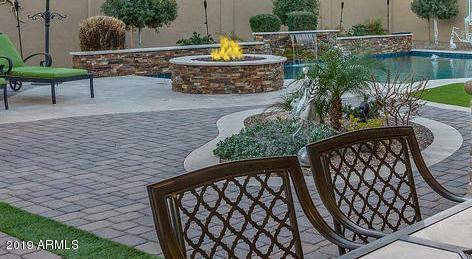 Living is easy in this impressive and lavish residence designed to suit your every need. 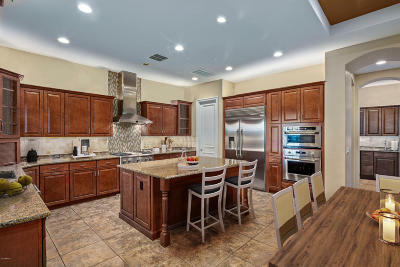 This luxurious 5 bedroom 4 bath single story dream home includes a 2 room private casita and covered parking for 7 cars. Multiple private spaces are enveloped into this masterpiece with a floor plan that includes a separate media room/office, and dual private courtyards. 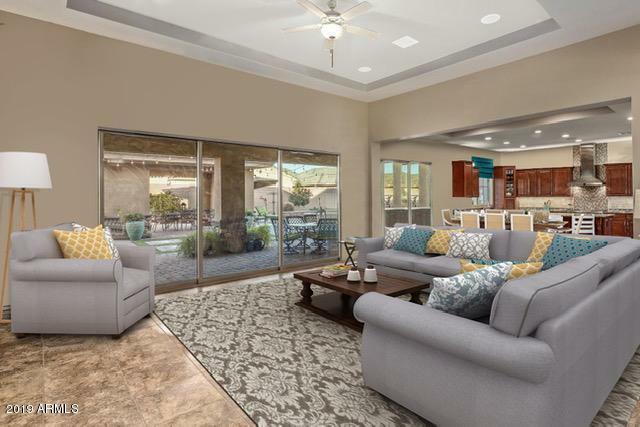 Sprawling entertaining areas are perfectly situated both inside and outside this home, which includes an expanded great room, formal dining, butcher's pantry, outdoor kitchen, ramada, and oversized covered patio. 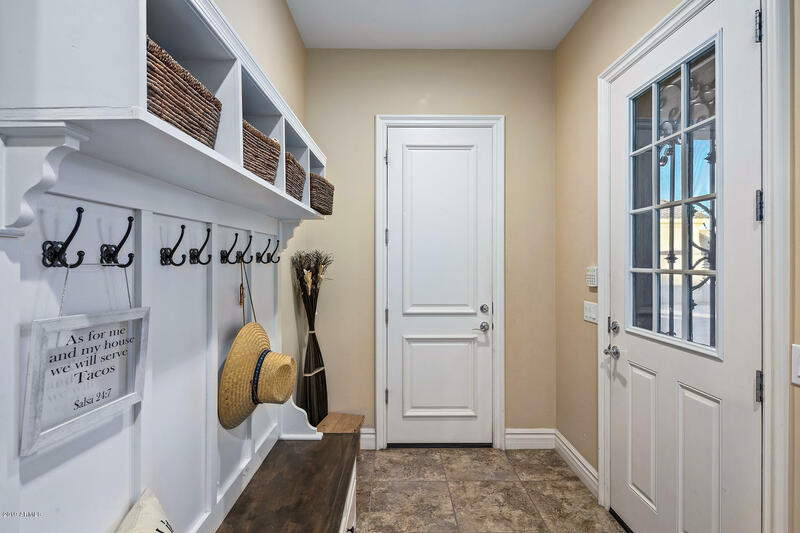 The separate guest quarters included in the design contains a private living space, bedroom, bath, and kitchenette - a comfortable and convenient home within a home for guests or multi-generational family. 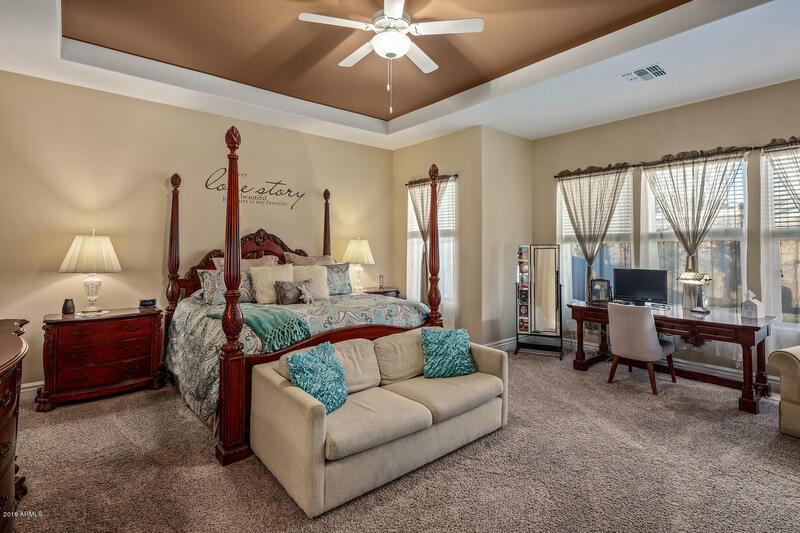 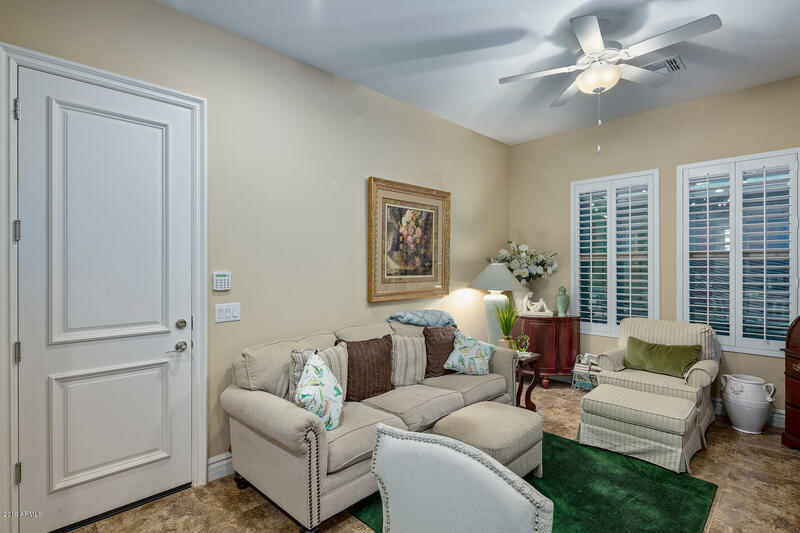 Nestled within the high-end gated community of Legacy Freeman Farms, this 1/2 acre corner lot home provides a welcoming sight for both homeowners and guests alike. 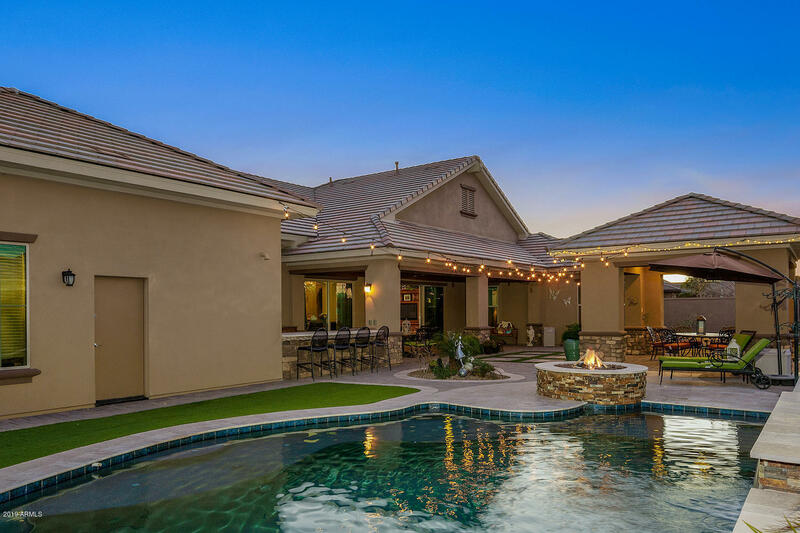 Spanning at almost 4800 square feet this residence is graced with 12 ft tray ceilings, 8 ft interior doors and wall to wall windows with a 15 ft retractable glass door that gives an open, uninterrupted view of the backyard and pool. 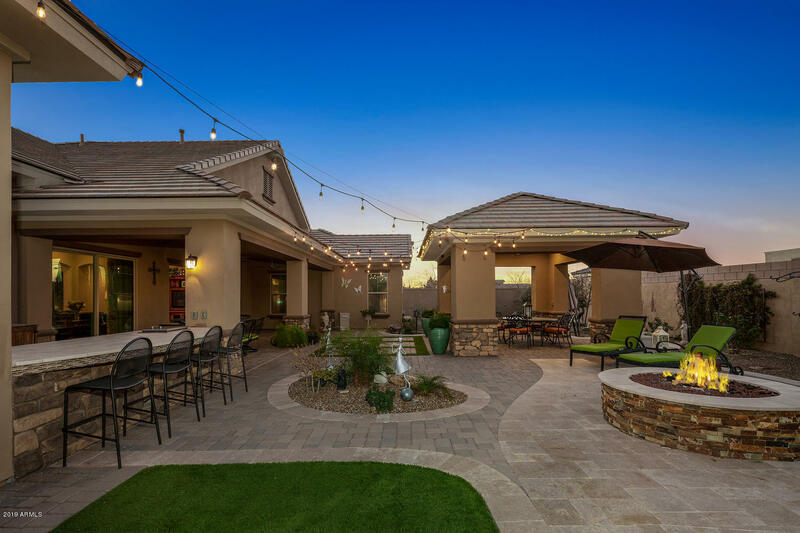 Exterior pavers lead into a private courtyard and then to a grand entry foyer with tundra ceiling and a voluminous layout - all designed for entertaining while also providing a high level of comfort and privacy. 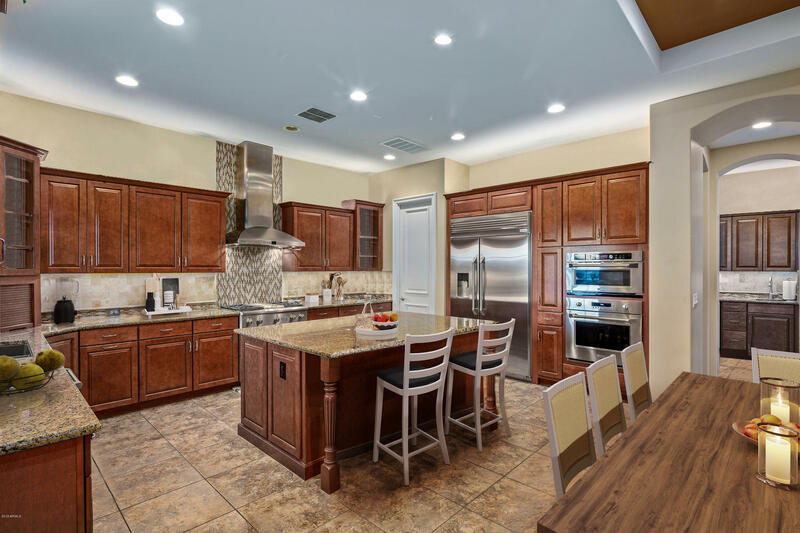 Interior of home is accompanied by a tremendous chef's kitchen clad with premium finishes, cabinetry, and an expansive multipurpose stone counter top along with high end stainless appliances. 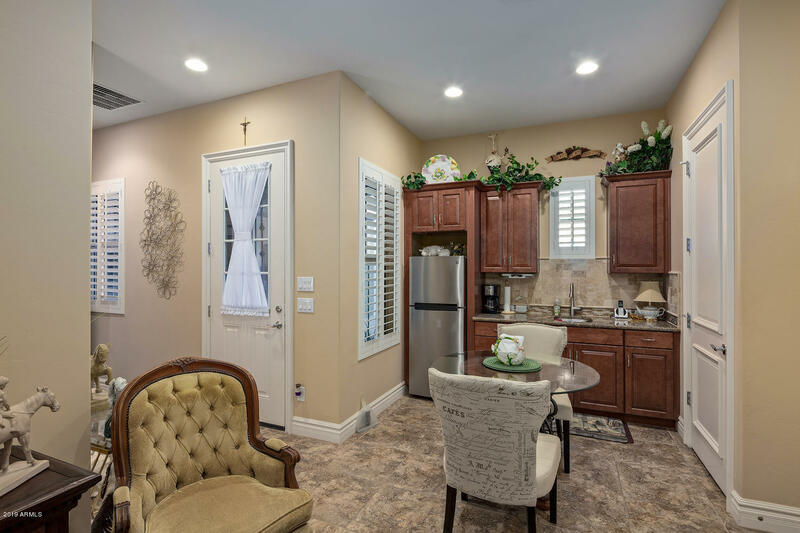 Enjoy the use of butler's pantry/coffee bar as you entertain in formal dining area or in oversized eat-in kitchen. 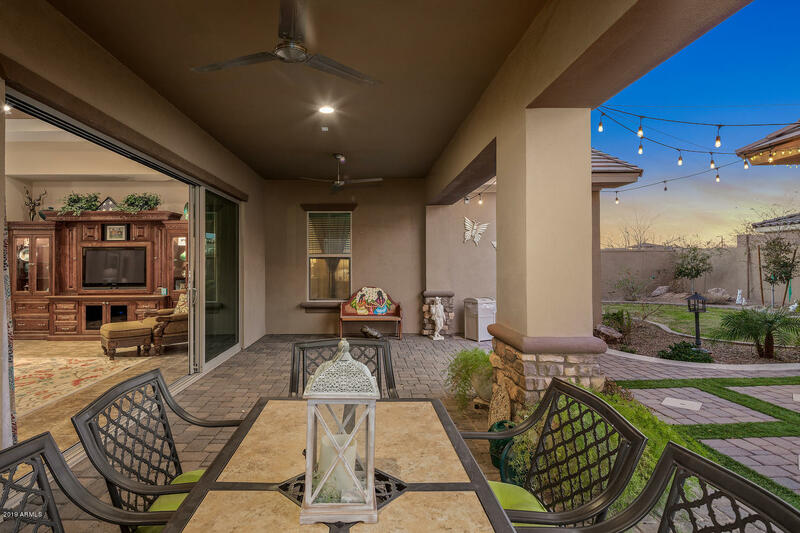 The design of this home allows for easy flow and functionality and offers unobstructed views of all front and back entertaining spaces including patios and courtyards. 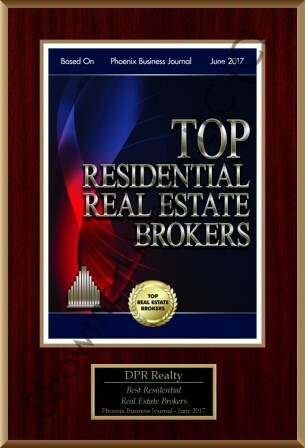 This master plan includes 3 separate bedrooms that share a multi-use space/office/media room and 2 bathrooms. Great for entertaining friends or for use as a separate living area. The secluded master ensuite presents recessed coved/tray ceiling, separate sitting area, multiple windows for natural light and is spaciously designed for the perfect retreat. 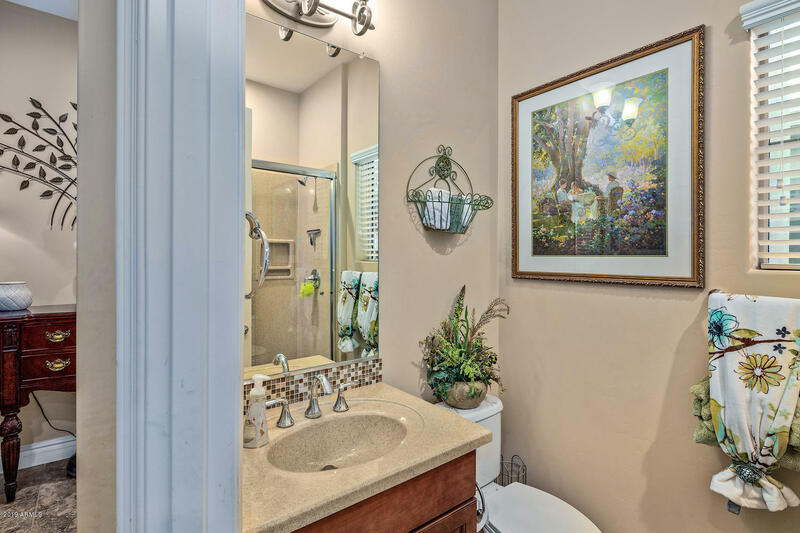 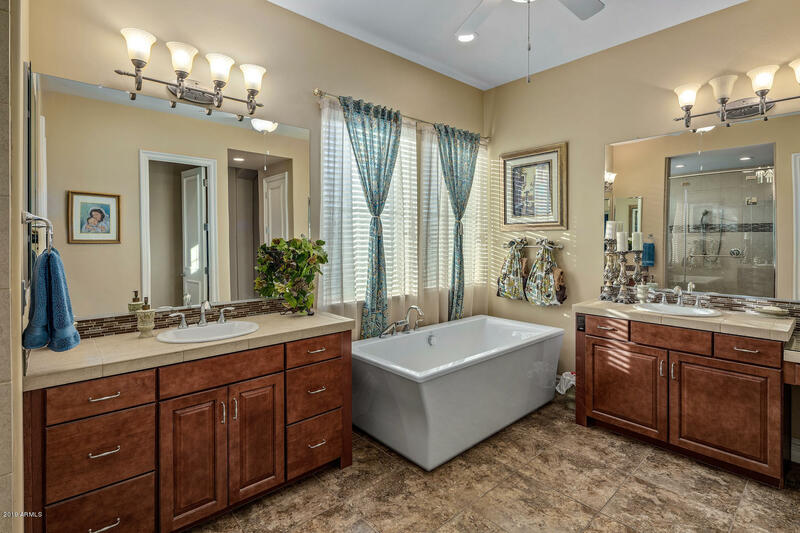 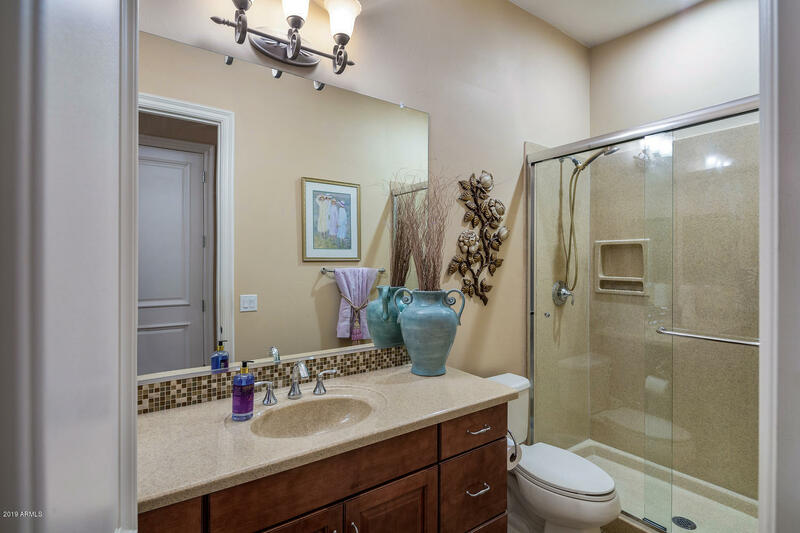 Relax in the ensuite master bath soaker tub or in the oversized separate walk-in shower. 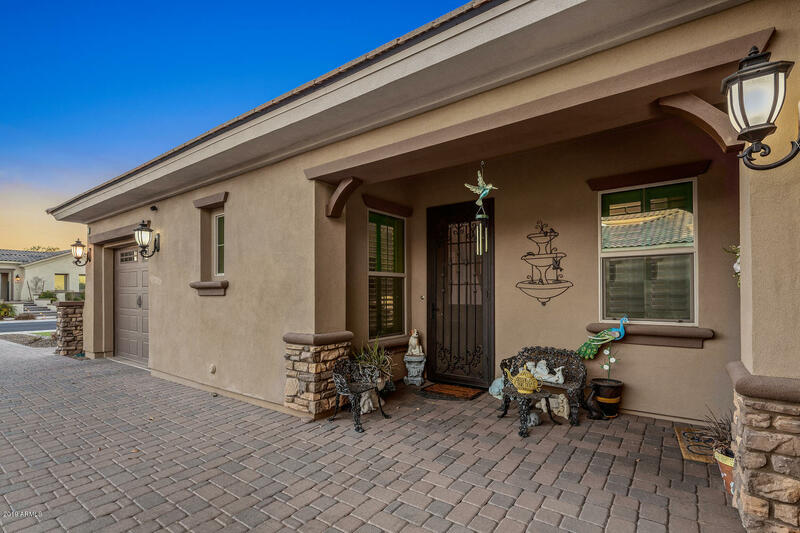 You will love the separate quarters/Casita that has its own private entrance and door garage with access to main part of home. 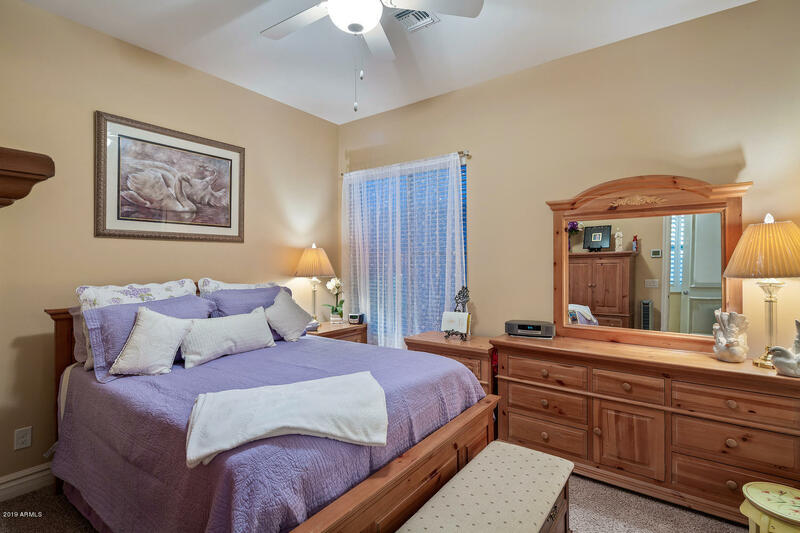 It is generously adorned with a bedroom, linen closet, walk-in closet, and separate living area and kitchenette. 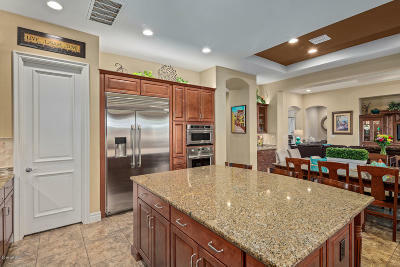 Experience the many options of this independent space perfectly designed for both extended family and guests. 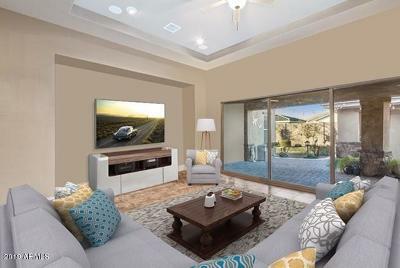 Interior areas expand seamlessly into the outdoors for a unique living experience, with 15 foot sliding retractable glass doors in the great room showcasing views of the resort style backyard. 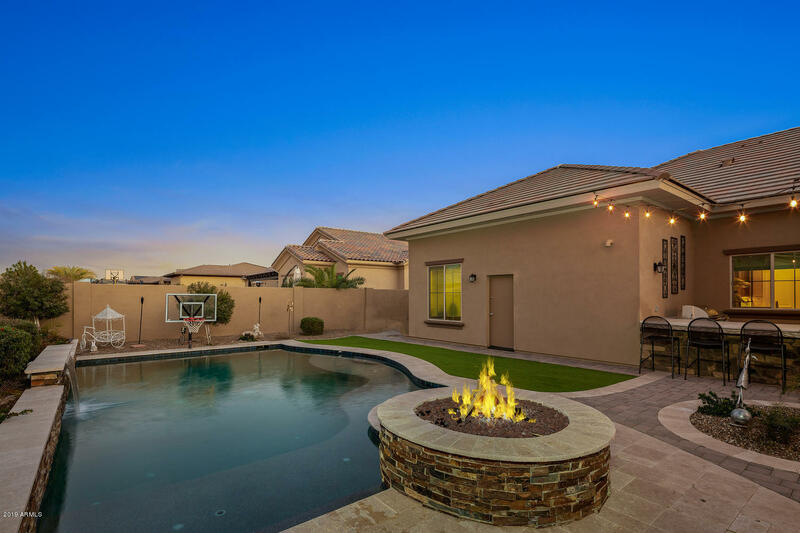 Multiple sitting and entertaining spaces are located under the extended cover patio and the ramada for larger gatherings, or curl up near the fire pit and take in some intimate time listening to the fire or to the calming sounds of the water feature located at the pool. 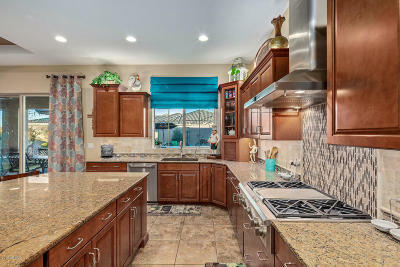 Your bbq chef will love the outdoor kitchen, strategically and conveniently located just outside the interior kitchen, while others enjoy a relaxing swim in the pool. Park your boat, RV, or car collection in one of 7 covered garage spaces along with an additional 3 spaces of non-covered paver-layed parking. 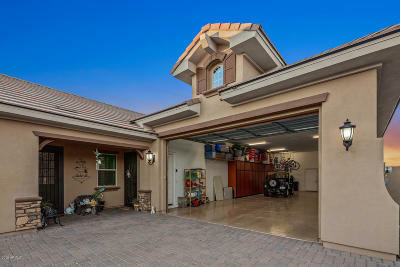 Built-in storage accompanies the 6 car tandem RV garage and ample 3ft expanded storage is available in the single car casita garage. 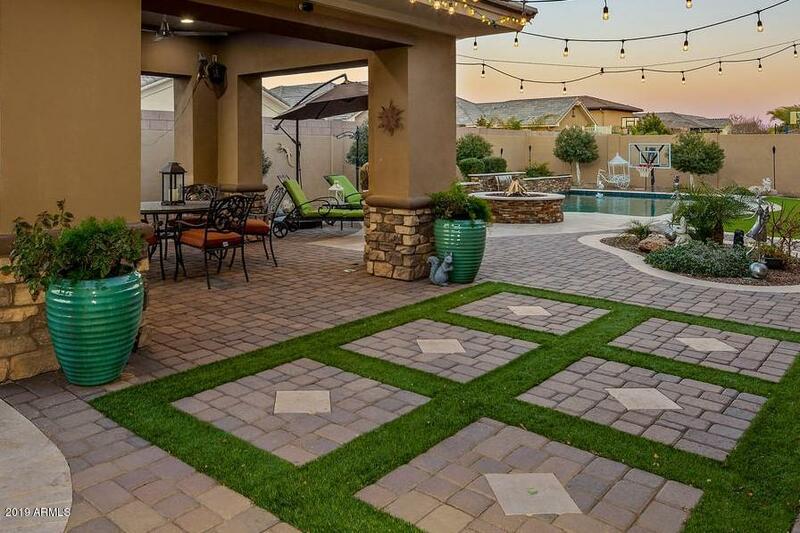 Check off all the boxes on your wish list, because this home truly has it all. Multiple venues for entertaining intimate private gatherings or large groups, appealing spaces for both adults or teens, this home features something for every occasion. 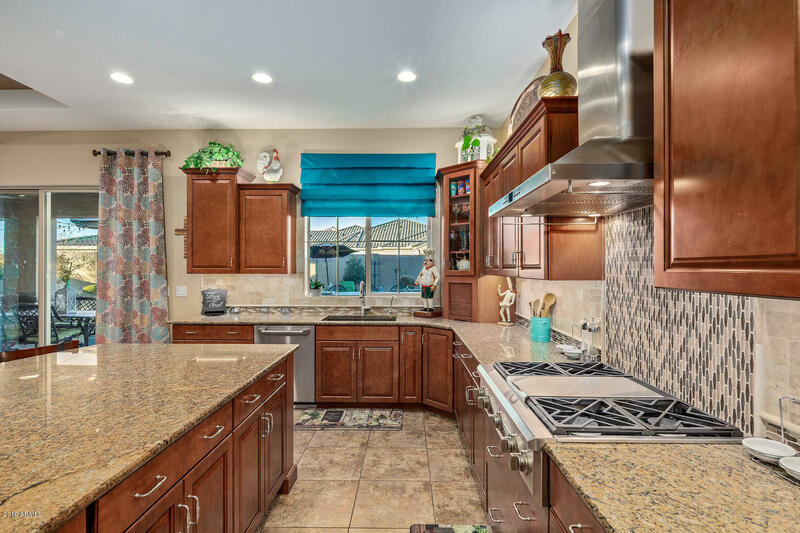 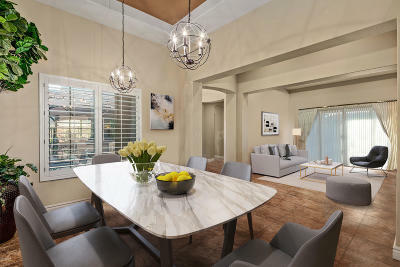 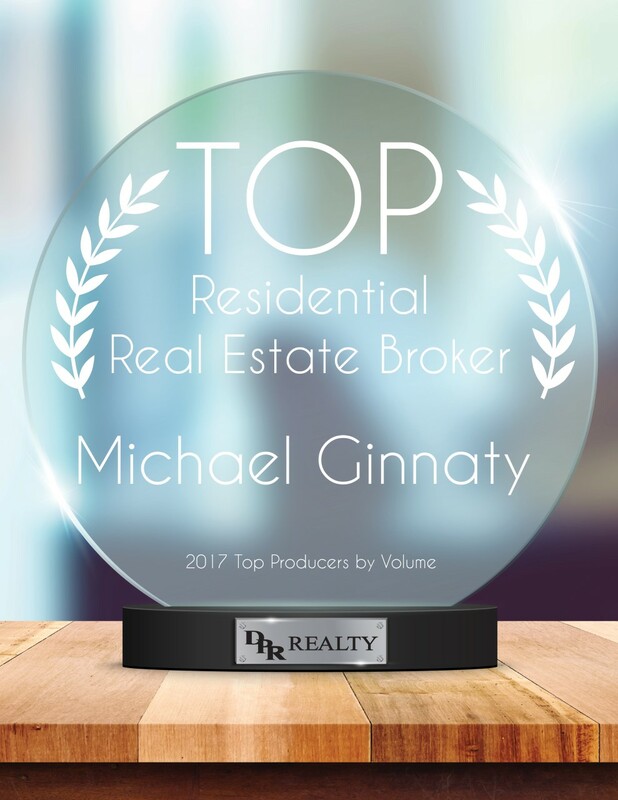 Whether you're a connoisseur or cook ready to find inspiration in the indoor or outdoor kitchens or a car enthusiast who loves to entertain, this is the home you have been waiting for.